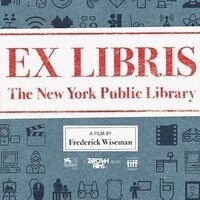 National Library Week screening of Frederick Wiseman's "EX LIBRIS - The New York Public Library"
We invite you to a special screening of Frederick Wiseman's "EX LIBRIS - The New York Public Library" and panel discussion at the Hamilton Theater. The New York Public Library exemplifies the deeply rooted American belief in the individual’s right to know and be informed. It is one of the most democratic institutions in America – everyone is welcome. The Library strives to inspire learning, advance knowledge and strengthen communities. This film goes behind the scenes of one of the greatest knowledge institutions in the world and reveals it as a place of welcome, cultural exchange and learning. During the intermission of the film, a panel of librarians will discuss how their own libraries are strengthening communities across Central New York. *Dinner will be provided by 8 Fresh.